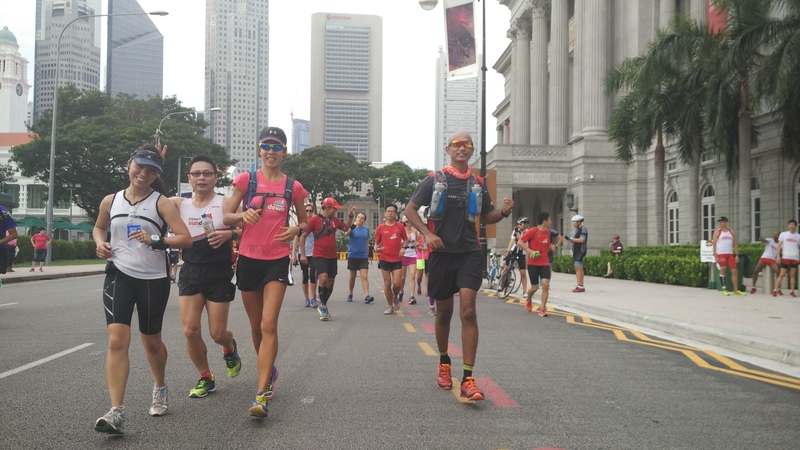 It was a special long run for the Falcons and Nighthawks as we ran into the closed roads of CBD area as part of the second edition of CarFreeSundaySG. 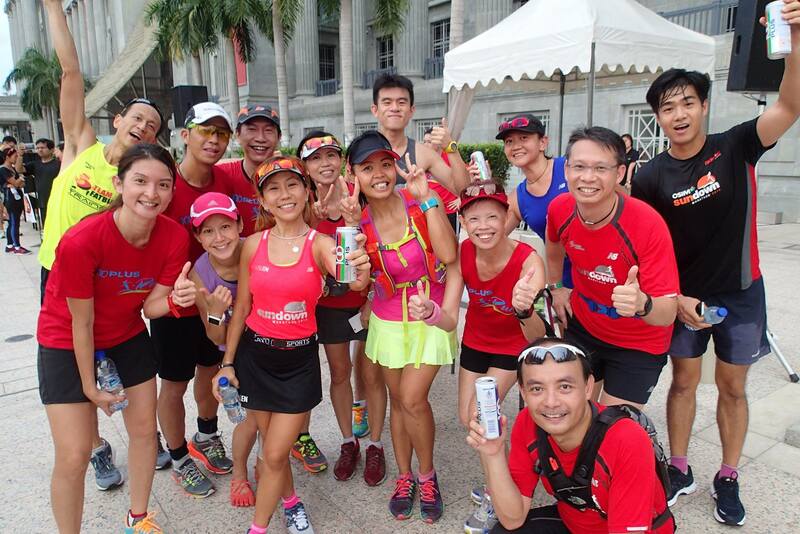 Our i-Run booth, stocked with drinks was already established by 7:00am right in front of the National Gallery. 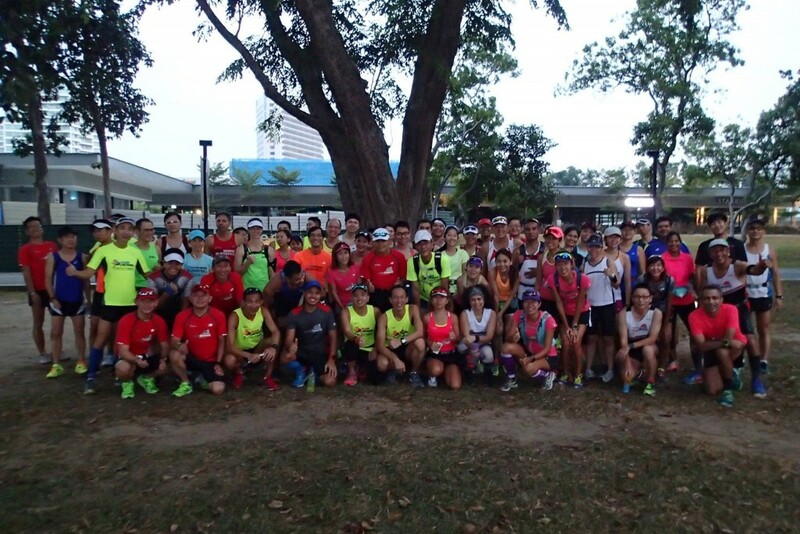 The long run marathon training for the Falcons and NghtHawks started at 6:45am from Parkland Green, ECP. 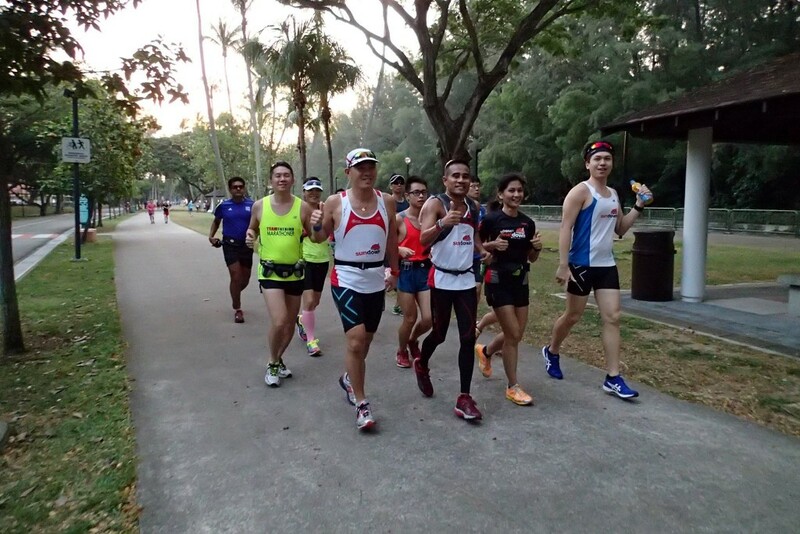 Along with the Sundown Pacers in training, we were placed into different pace groupings and our objective was to complete the 17km (HM) and 28km (FM) long run on target pace, at the same time enhancing the aerobic foundation and distance conditioning for all. A number of the runners who participated at the recent Twilight Ultramarathon took a break to rest their legs, while others who came back from their record-breaking times at Seoul and Nagoya Marathons were having light duties. 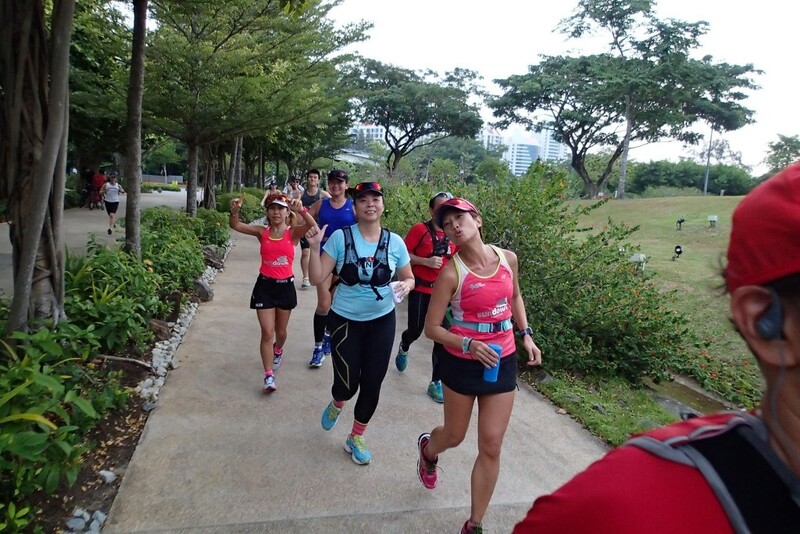 The cloudy and windy weather made for good running conditions and it was evident in the faces of our runners, who were chatting and enjoying themselves enroute Gardens By The Bay, Marina Barrage, Marina Bay Sands and into Shenton Way. 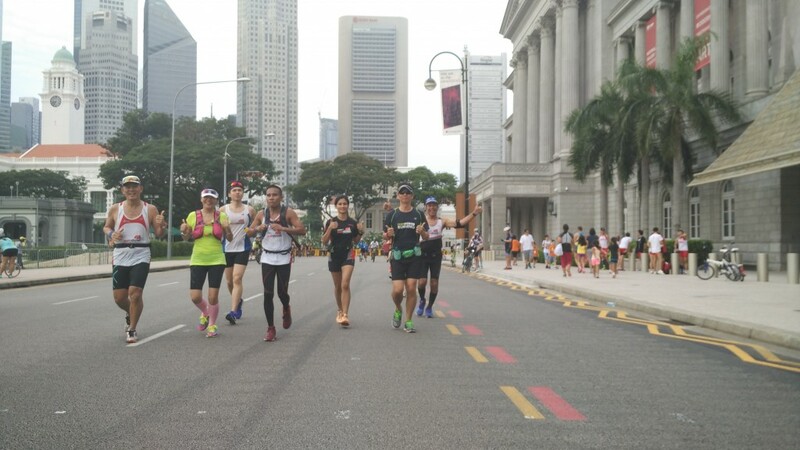 As we ran in our pace groups, we could see many bikers and runners from Gardens with growing numbers when we reached MBS. 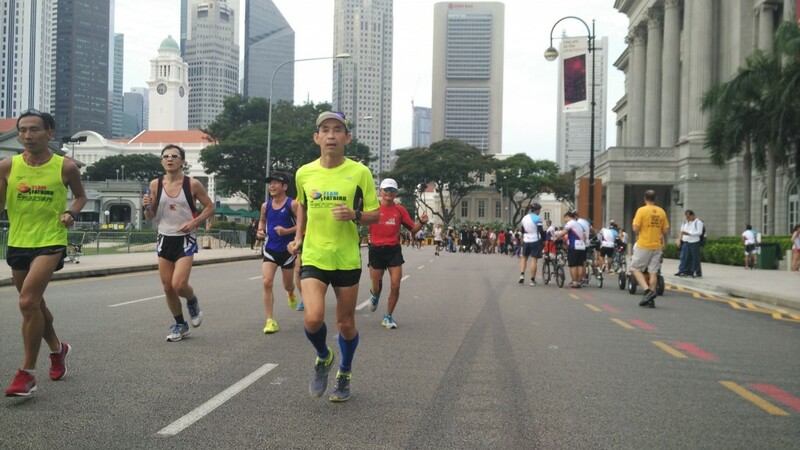 The atmosphere felt like we were in a race, just that there were no race bibs and timing chips on our bodies. 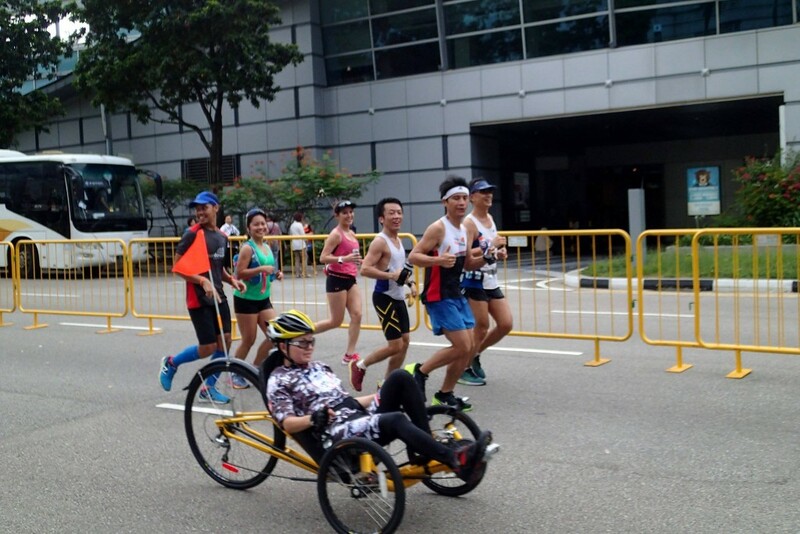 When we reached into Shenton Way, there was a hive of physical activity as the cyclists, roller-bladers, unicyclists, motorised scooters were on the right, while the runners, joggers, brisk-walkers and families strolling kept to the left. 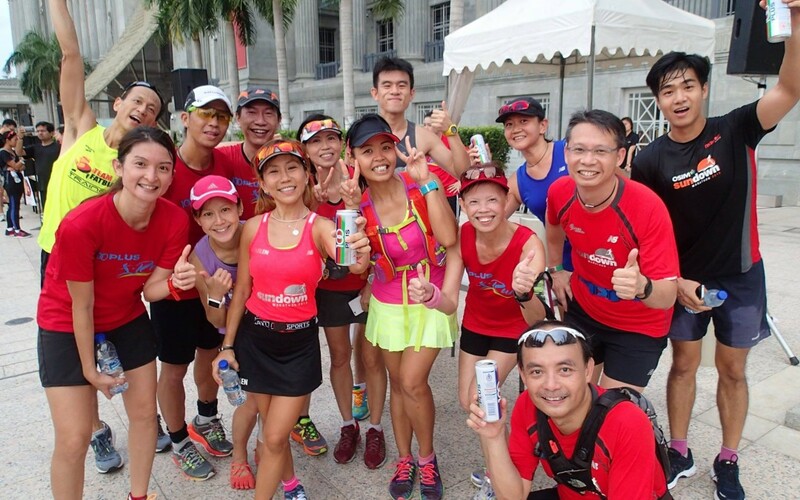 Our marathon trainees made pit stops at the i-Run booths for refreshment, before moving on for 1 lap of the 5km closed route for Half Marathoners while the Full Marathoners tackled 2 laps. 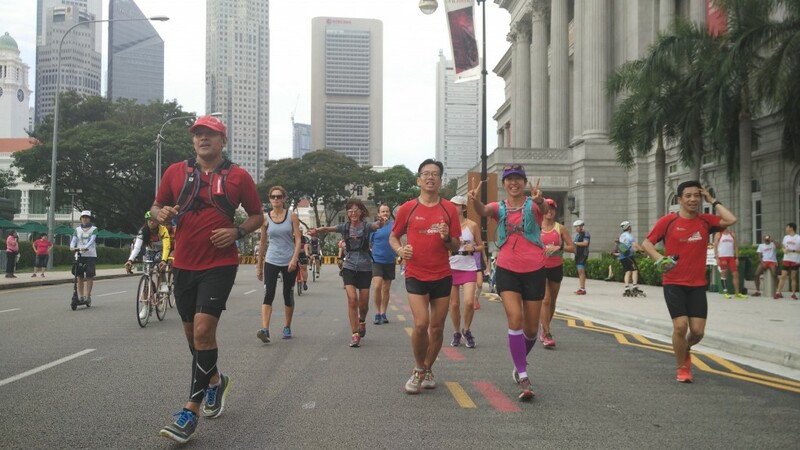 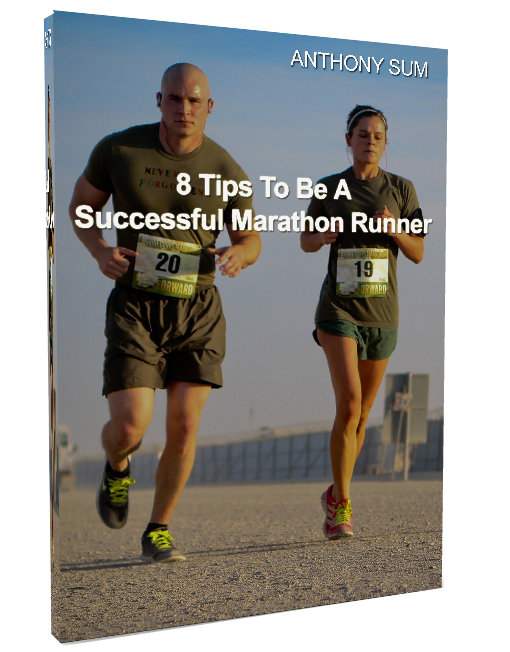 As we were in training, we did not stop for too long to keep the pacing honest. 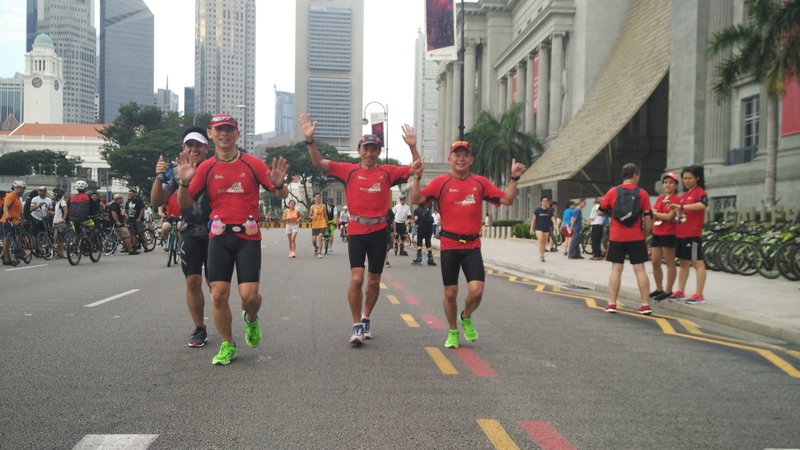 The Falcons who were in tapering mode completed their training slightly earlier with the faster Optimal Pace while the NightHawks were maintaining Basebuild Pace for some good foundation buildup. 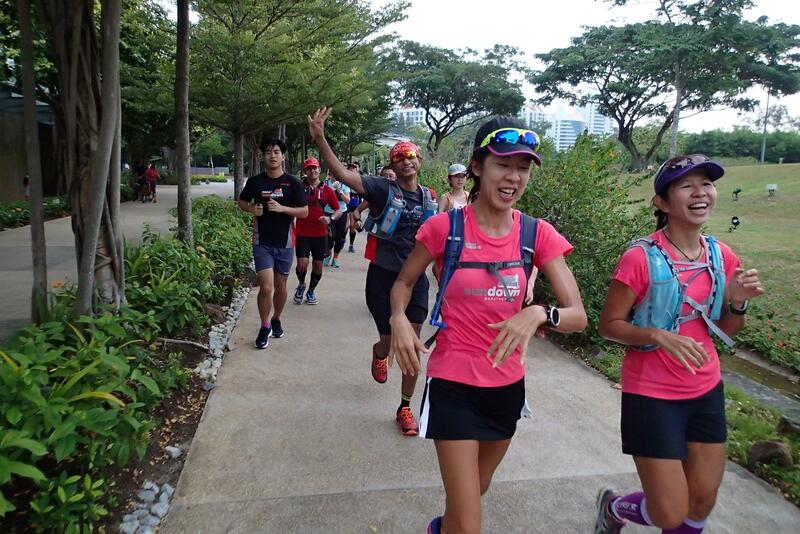 The majority of the runners and pacers completed their training on target, and by 10:30am, most were already back at Parkland Green for the post-run training debrief. 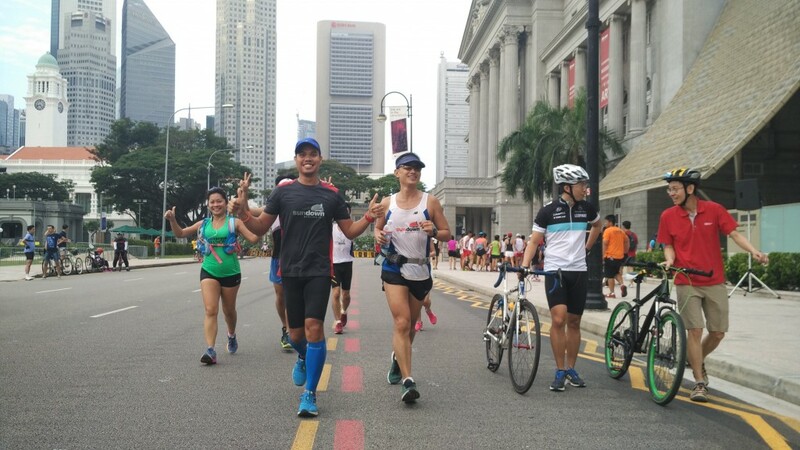 It was a fruitful and enjoyable marathon training session overall with a touch of difference by joining in the CarFreeSundaySG segment. 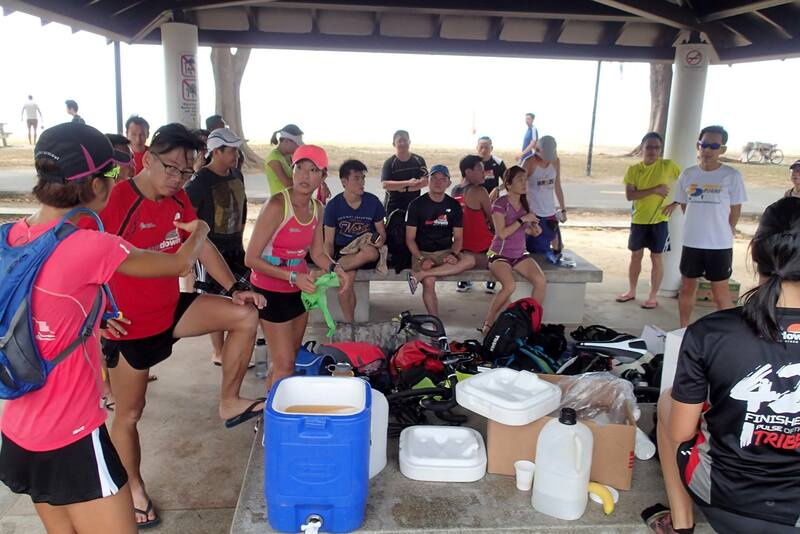 Post-training condition of all trainees and runners were good, many with reserves in their tanks, signs of not over-stretching which meet long run training objectives. 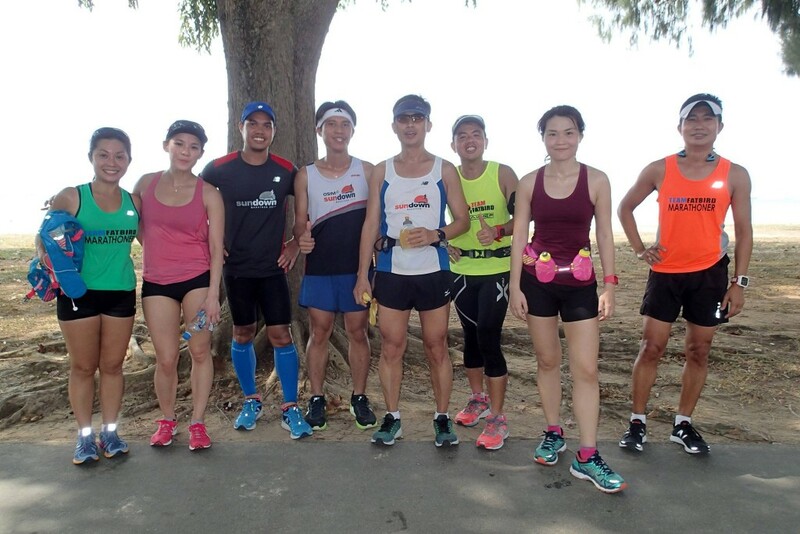 The Falcons will put the pedal to the mettle at next weekend’s 2XU Compression Run while the NightHawks will move into the 30km territory at next weekend’s Long Steady Distance (LSD). 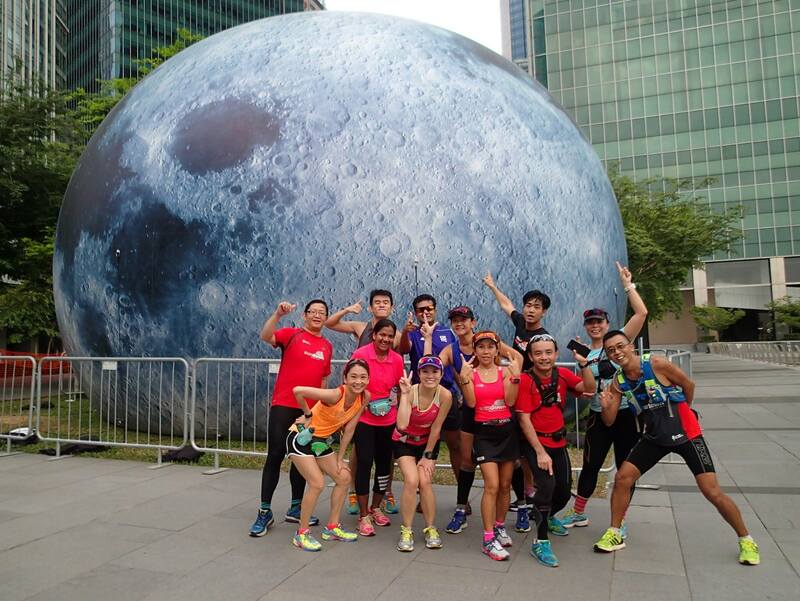 The Falcons & NightHawks Had A Field Day At CarFreeSundaySG.